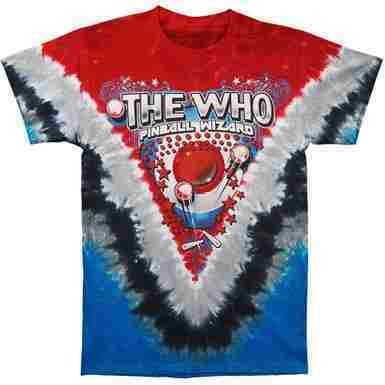 Are you a pinball wizard or just a big fan of The Who's classic rock opera Tommy? Regardless of which you are, this vibrantly colored tie dye t-shirt is the one for you! Officially licensed Who merchandise.